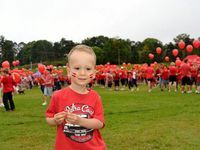 ALMOST 2000 people joined Bruce and Denise Morcombe on the 3.5km Walk for Daniel at Palmwoods this morning. 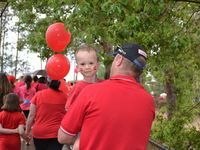 Police Commissioner Bruce Atkinson, Premier Anna Bligh and a large contingent of Sunshine Coast police joined mums, dads, teachers, dogs and armies of schoolchildren to form a 'sea of red' on the walk. The walk, in its seventh year, started from Suncoast Christian College, near where Daniel disappeared, and finished at at a football field at Palmwoods, the Morcombes' home town. The Premier paid tribute to the Morcombes for their efforts in getting the child safety message out to schools. She said this year's walk was particularly poignant in that everyone now knew that Daniel would not be coming home following the official discovery of his remains and the arrest of a man. 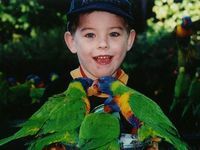 More than 1000 activities are being conducted around Australia today to mark the Day for Daniel. Bruce and Denise said they were delighted the event had gone national. They said the day was not a memorial for Daniel, but a day of action for child safety. They demonstrated this by getting the huge crowd on the school oval to follow actions they taught to schoolchildren to emphasise they have a right to say no and protect themselves from predators. "No my body belongs to me,'' the crowd chanted, joining the Morcombes. Ironically, schoolchildren holding the opening banner for the walk - which the official party was meant to go through - thought the first word was 'go' and they broke through the banner. Bruce joked the photo opportunity had been lost and declared the walk underway. Up to 1 million people across Australia are expected to join Day for Daniel activities with awareness of the case heightened after the arrest of Brett Peter Cowan, 42, who was charged with Daniel's abduction and murder in August. 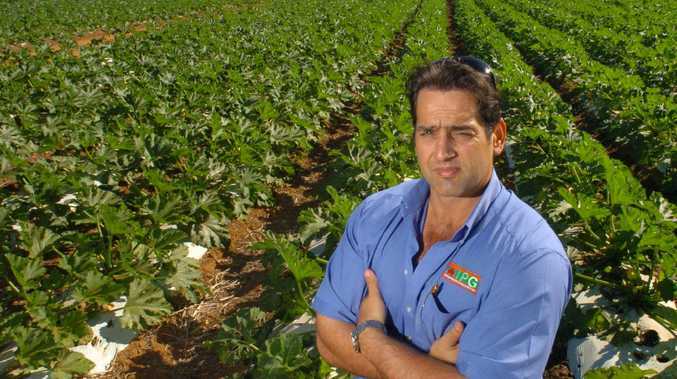 An estimated half a million school children are expected to join the Day for Daniel after a relentless tour of Australian schools by Bruce and Denise. 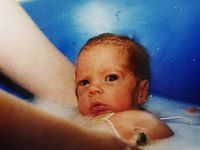 At each school, they have shared the painful story of what happened to their son as well as tips on how children can prevent the same thing happening to them. 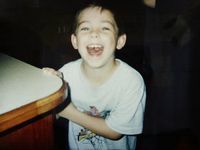 The couple have channelled their energy into child safety, giving themselves little time to mourn the loss of Daniel after confirmation that human remains found at Glasshouse Mountains belonged to the 13-year-old who disappeared in 2003. 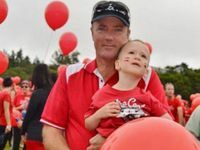 Mr Morcombe said he expected 2000 to 5000, including Premier Anna Bligh and Police Commissioner Bob Atkinson, to join his family for the 3.5km Walk for Daniel from 7am today. The walk symbolises the community joining the Morcombes in Daniel's return to Palmwoods - a trip he never got to take after he was allegedly abducted from an official bus stop on his way to Sunshine Plaza to buy Christmas presents and get a haircut. Daniel's brothers Dean, 23, and Bradley, 21, his twin, will join the walk today. The Morcombes will Walk for Daniel on the Gold Coast tomorrow, Brisbane on Sunday and Melbourne next Sunday.